Kathy Dawson Books, 9780803738102, 480pp. A perfectly crafted combination of medieval history, mythology, and fantasy, set on Wilde Island, featuring Uma Quarteney--a half Euit and half English girl, who has never been fully accepted by her Euit tribe--and Jackrun Pendragon--a fiery dragonrider with dragon, fairy, and human blood. On the southernmost tip of Wilde Island--far from the Dragonswood sanctuary and the Pendragon Castle--live the native Euit people. Uma wants to become a healer like her Euit father. But the mad English queen in the north, desperate for another child, kidnaps Uma and her father and demands that he cure her barrenness. After her father dies, Uma must ensure that the queen is with child by the time of the Dragon Moon, or be burned at the stake. Janet Lee Carey was born in New York and grew up in California. 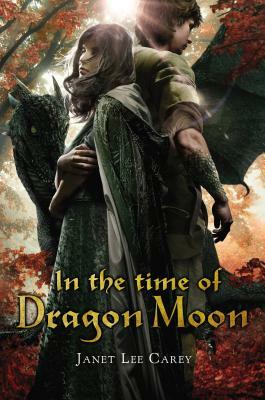 She is the award-winning author of several young adult novels, most notably her epic fantasy novels set on Wilde Island--Dragon's Keep, Dragonswood, and the upcoming In the Time of Dragon Moon. Janet lives near Seattle with her family where she writes and teaches writing workshops.